Relief in the Oral Appliance! 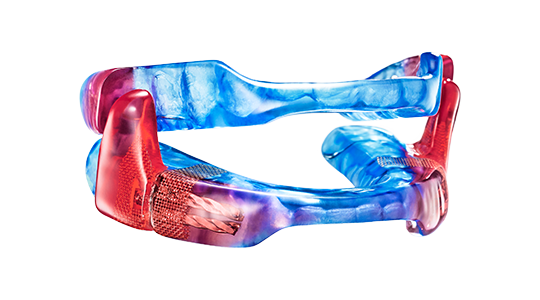 Oral Appliances are placed in the mouth and are worn much like an orthodontic appliance or a sports mouth guard. 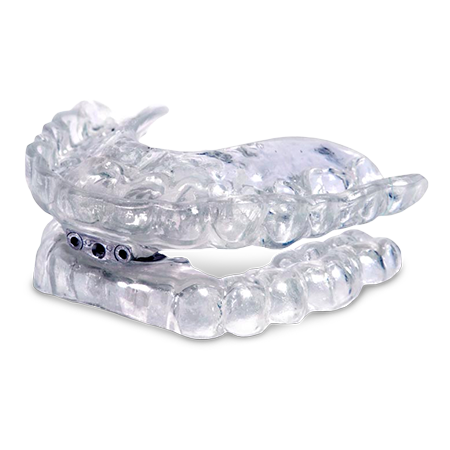 They can provide relieve for patients who can’t wear their CPAP or simply have problems snoring. A comprehensive exam and ongoing follow up care which include ongoing adjustments are standards of care you can expect from our offices. You should only rely on trained dentists like Dr. Burton and Dr. Vertin to provide proper treatment with a custom fitted oral appliance. Dental appliances are covered by most medical insurance, including Medicare with a diagnosis of obstructive sleep apnea from your physician. 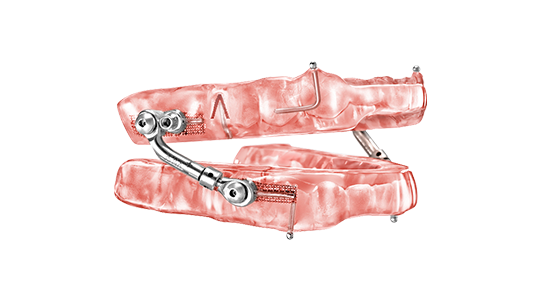 Schedule a free consultation so we can determine which oral appliance is right for you! Michigan Sleep Network dentists will select the right appliance to fit you. All appliances achieve the same effect in relieving snoring and symptoms associated with sleep apnea even though they differ in design. Below are examples of appliances that are commonly used by Michigan Sleep Network dentists. We have no affiliation with the manufacturer of these appliances. 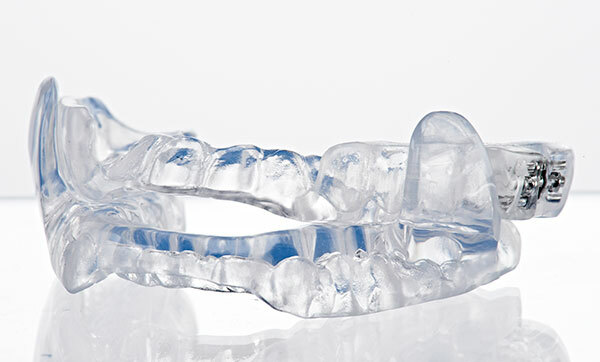 Each appliance is FDA approved and is proven to be effective, durable, and comfortable.